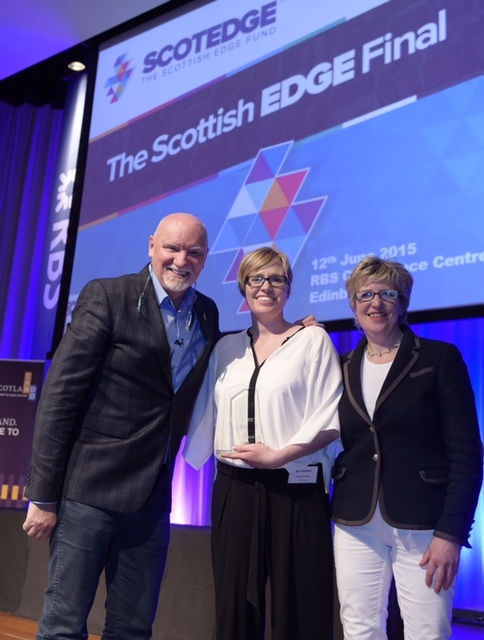 SCOTLAND, 14 June 2015 – Thirty six Scottish entrepreneurs are celebrating this weekend after landing over £1million in funding and prizes at the Scottish EDGE awards. The overall winners scooped £900,000 after a gruelling Dragons’ Den style finals day to select the most promising start-up businesses that will bring the maximum return for the Scottish economy in terms of growth and jobs. A further £75,000 was awarded to 11 Young EDGE (founders under 30 years old) winners and £100,000 to 11 Wild Card EDGE (early stage businesses) winners who also collected their trophies at the gala event in the evening. Scottish EDGE chairman David Shearer, who headed a panel of top business figures judging the entries, said: “We heard from many excellent businesses over the course of this funding round and those which have been selected to receive funding are the cream of the crop. The funding competition, aimed at identifying and supporting Scotland’s top early stage and high growth potential entrepreneurs, received more than 250 hopeful applicants, which where whittled down over a number of rounds to leave 26 in Friday’s final. The awards were presented by Sir Tom Hunter at a glittering ceremony celebrating innovation and entrepreneurship at the RBS Conference Centre, Gogarburn, Edinburgh. The judging panel consisted of Scottish EDGE chairman David Shearer; Highlands and Islands Enterprise’s director of regional development Carroll Buxton; Carol Graham of Graham’s Family Dairy; Royal Bank of Scotland HR chief Elaine Arden; and David Sneddon of Scottish Equity Partnership. 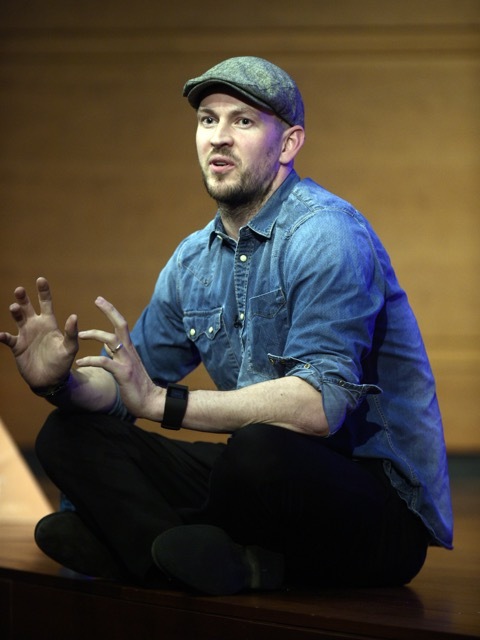 The entrepreneurs and attendees on the day also heard from BrewDog co-founder James Watt, who told of how the hugely successful Scottish craft beer company grew from a simple idea in 2007 to the expanding international business it is today. Gordon Merrylees, Head of Entrepreneurship, Royal Bank of Scotland & NatWest, said: “Entrepreneurs are the lifeblood of the Scottish economy and make a significant contribution in terms of employment and wealth creation. 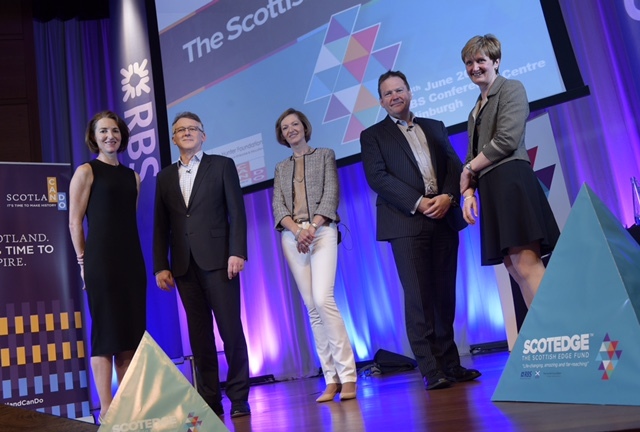 The Royal Bank of Scotland is delighted to continue to support the Scottish EDGE as it plays an important role in promoting and supporting entrepreneurialism in Scotland. “Starting your own business is becoming increasingly popular and The Royal Bank of Scotland is determined to play a major role in supporting and helping entrepreneurs fulfil their dreams. “Growing the economy by helping start-up businesses is crucial and that is why The Royal Bank of Scotland is working with organisations such as Scottish EDGE, Entrepreneurial Spark, The Hunter Foundation, Scottish Enterprise, HIE, Princes Trust Youth Business Scotland and Business Gateway as well as Scottish Government to ensure that people are given the best possible chance of success. Eleanor Mitchell, Director of High Growth Ventures, Scottish Enterprise, said: “The Scottish EDGE encourages and supports Scotland’s expanding base of entrepreneurial activity. Past winners have used the award to recruit new team members, fund their marketing activities, translate their ideas into products and expand their sales and they’re demonstrating strong growth.